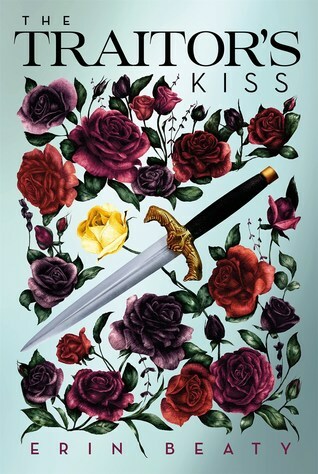 I was definitely curious to start The Traitor's Kiss by Erin Beaty. I had heard many good things about the book, and I was really excited to check it out for myself. Especially when the book was described as Jane Austen with an espionage twist. I love anything Jane Austen, so I was really excited to read this! There were a LOT of characters to keep up with in The Traitor's Kiss, and the story is told from many different perspectives. It was a bit confusing at first, as some characters were posing as other characters, but I did manage to figure out who everyone was as the story went along, and it was easier to keep up with after a while. I did like that the main character was a matchmakers apprentice. I don't think I've read anything like that before! The first half of the book started off a bit slow, and as I mentioned, was a little confusing at times. I do get into it more as the story went along, and became much easier to read. The second half of the book had a lot more action and suspense, and was at times both brutal and extremely dangerous. The book doesn't really end with a cliffhanger, but ends with just enough information to make you wonder what's going to happen in the next book in this trilogy. I'll definitely be keeping my eye out for info on the next book. Overall; The Traitor's Kiss was an interesting start to what should be a very unique series. I'll definitely be checking out the next two books in this trilogy, and I'm hoping that we will find out some information on the next book soon!